Death tax. Energy exploration. Opportunity scholarships. Retirement security. Tax relief. On first glance these words may seem neutral. They’re not. Readers of this blog will likely recognize where these words come from. Frank Luntz is well-known to viewers of Fox News and CBS. What most people don’t know is he’s the man behind the words and phrases Republicans have used to frame the debates of the last twenty years.They have reframed debates around almost every issue that affects Americans including health, education, tax, immigration, energy, and the environment. Luntz has helped them do that. It makes sense that anyone advocating for change, running for office, or selling a product learns from Luntz. Words That Work offers that opportunity. Words That Work is based around a simple premise: it’s not what you say, it’s what people hear. This isn’t a new idea, it goes back as far as Aristotle. But, it’s a basic idea many communicators don’t know or forget. And it’s an idea Luntz is keen to impress on his readers. 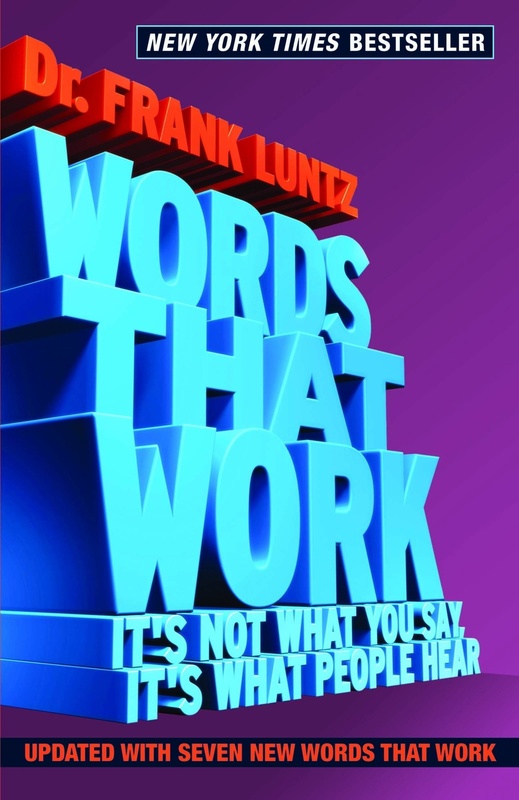 Luntz organizes his insights around this principle covering: rules for effective language, creating “words that work”, words we remember, and sharing case studies from his work in politics and business. He breaks down myths about the American people and shows how he created the infamous Contract with America. …a well-run focus group is the most honest of all research techniques because it involves the most candid commentary and all of the uncensored intensity that real people can muster… A well-run focus group is a laboratory for social interaction and word creation. Luntz learnt very early on why focus groups are so important in creating language and persuading. In one focus group for Ross Perot he made a mistake that led to an important discovery. Without giving it much thought, I’d been showing the videos to various focus groups of independent voters in that order — until, at the beginning of one session, I realized to my horror that I’d failed to rewind the first two videotapes. So, I was forced to begin the focus group with the tape of Perot himself talking. In every previous focus group, the participants had fallen in love with Perot by the time they’d seen all three tapes in their particular order. No matter what the negative information I threw at them, they could not be moved off their support. But now, when people were seeing the tapes in the opposite order, they were immediately skeptical of Perot’s capabilities and claims, and abandoned him at the first negative information they heard. … I repeated this experiment several times, reversing the order, and watched as the same phenomenon took place. Demographically identical focus groups in the same cities had radically different reactions — all based on whether or not they saw Perot’s biographical video first and the third-party testimonials second (and were therefore predisposed and conditioned to like him) before or after the candidate spoke for himself. The language lesson: A+B+C does not necessarily equal C+B+A. The order of presentation determines the reaction. I recommend reading this book with eyes wide open. Despite his protestations, Luntz is master manipulator. 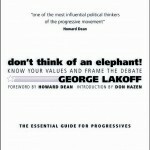 The frame of tax relief has been expertly dissected by George Lakoff. Luntz says in his introduction that he’s “right of center”. You can be sure he’s practicing what he preaches and chose those words very carefully. They disguise his conservative credentials. Luntz is a great communicator. 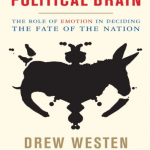 The fact that Lakoff and Drew Westen have released works like Moral Politics and The Political Brain is in large part down to the success of Luntz. Words That Work is a simpler book than those of Lakoff and Westen. Luntz doesn’t offer the theory that’s so valuable to anyone seeking to persuade, but this book’s simplicity is a strength. If you don’t agree with his worldview, look past it and find the language lessons that exist. They are bountiful. Just be careful, or you may unwittingly find yourself using Luntz’s language. That may not be in your interest. Words that Work is available on Amazon.